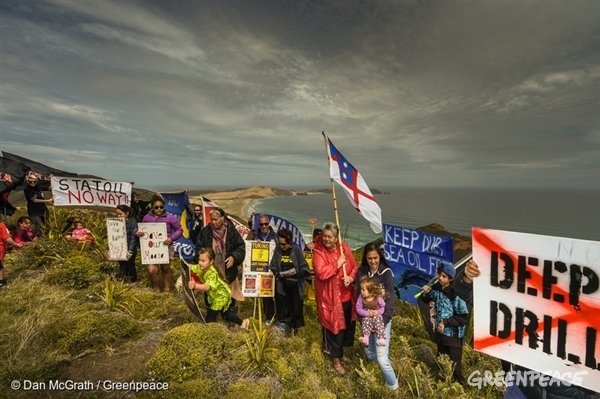 HIGH FIVE TO ALL NEW ZEALANDERS INVOLVED! brave bunch of people 🙂 against Statoil and Chevron. 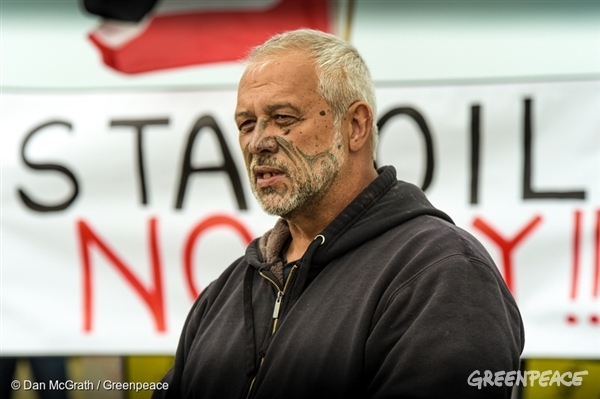 searching for oil with underwater seismic blasting ship http://www.greenpeace.org/new-zealand/en/blog/cease-and-desist-message-delivered-to-seismic/blog/58481/ does it force whales to strand? Greenland Sea, 24 August 2015 – Firing seismic airguns to find new oil reserves in the Arctic Ocean is ‘alarming’ and could seriously injure whales and other marine life, according to a new scientific review. The oil industry is increasingly looking towards the region as climate change melts large areas of Arctic sea ice. 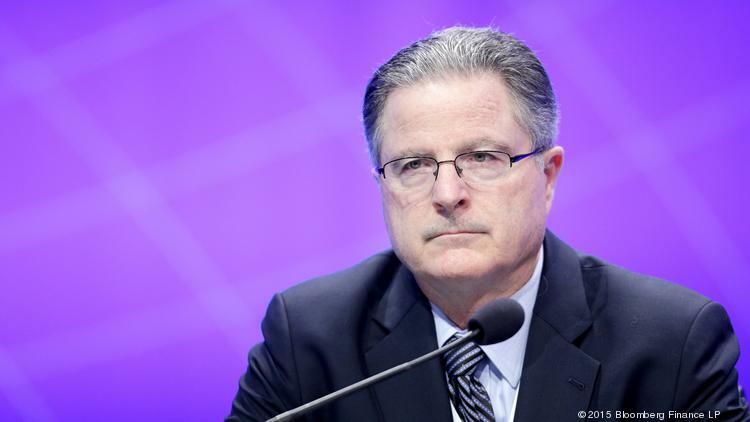 Does that matter to Chevron CEO Watson? 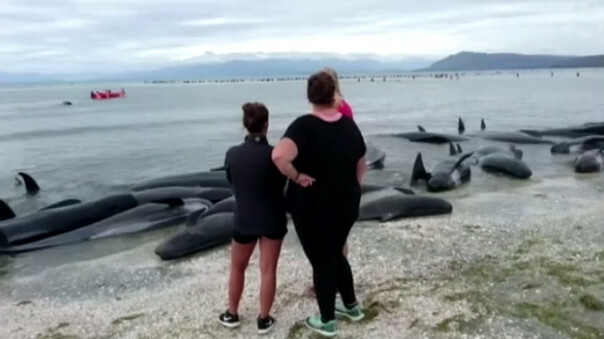 At least 300 pilot whales were found dead on a New Zealand beach and more than 400 whales were found stranded on Friday in . 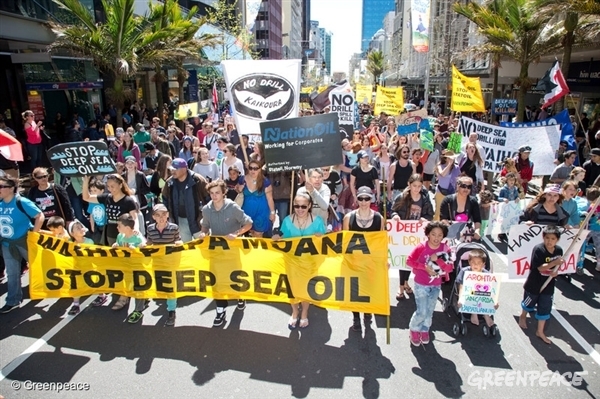 The event was held at Muriwai to highlight the fact that Energy and Resources Minister Gerry Brownlee is intending to announce the awarding of further petroleum exploration permits by the end of August for oil in the Reinga and Northland coastal zones – which together cover 150,000 square kilometres, an area bigger than the whole of the North Island (1). 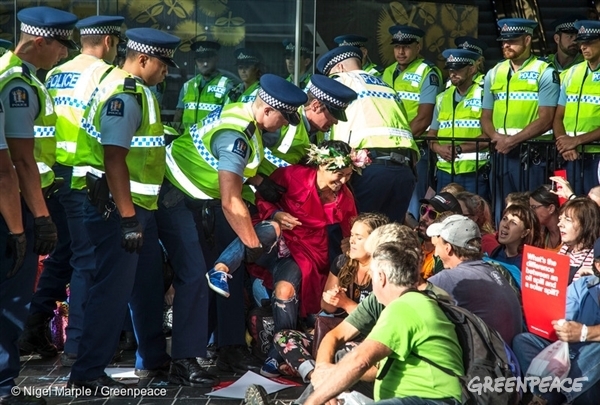 The expected awarding of further permits to international oil companies is part of a dramatic escalation in planned deep sea oil drilling by the Government. 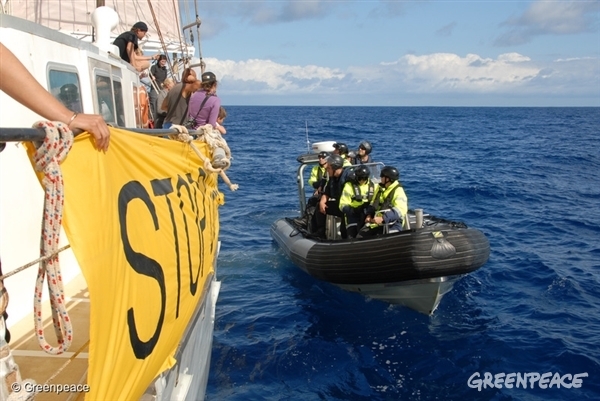 In June this year the Brazilian owned Petrobras oil company was awarded an exploration permit off the East Cape. 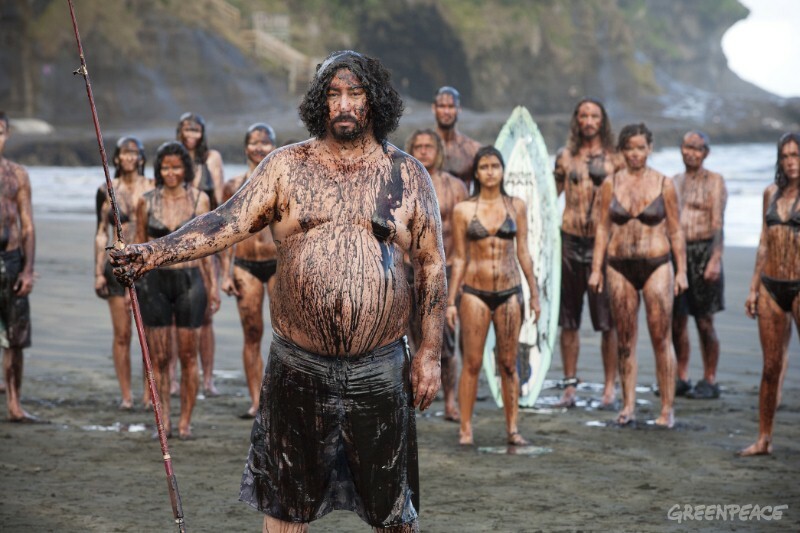 Trevor Kaukau, who along with 19 other Greenpeace supporters at Muriwai beach covered themselves in ‚oil‘ to send a strong message to the Government to stop its plans for the drilling of new deep water oil wells off New Zealand’s coast. „Although the company’s representatives were quick to claim the move came as a result of the low a probability of finding oil there, the sudden exit follows years of protest by the Northland community.